The European Union has a key role to play in regulating the affairs of all its member states, including the UK. However, it should not be forgotten, as stated in Article 1 of the European Constitution, that Europe is “a union of independent countries”. The European Union certainly does not have "carte blanche" to legislate in any situation, and indeed will not do so unless it has the legal capacity to act. This capacity comes from legislation known as Treaties, which will be examined in greater detail later. This guide aims to give a general overview as to why and how the EU can make laws that can affect the UK in general. There are many different types of legislation that the European Union can make, which affect member states in different ways. Before looking in greater depth at how the EU affects our laws, it is important to understand its structure and history, as well as how many of its different institutions operate. See more of our EU Law guides. What is the impact of the EU in both England and Scotland? What is an EU Treaty? What is an EU Directive? What is an EU Decision? What criteria have to be met before an EU law can be said to have direct effect? What is the difference between horizontal direct effect and vertical direct effect? The Treaty of Rome established the European Economic Community (EEC) in 1957. One of the key aims of this treaty was to create a common market for trade across many of the nations economically crippled by the Second World War, such as France and Germany. Following a referendum in 1973, the majority of UK voters chose to become part of this new common market. 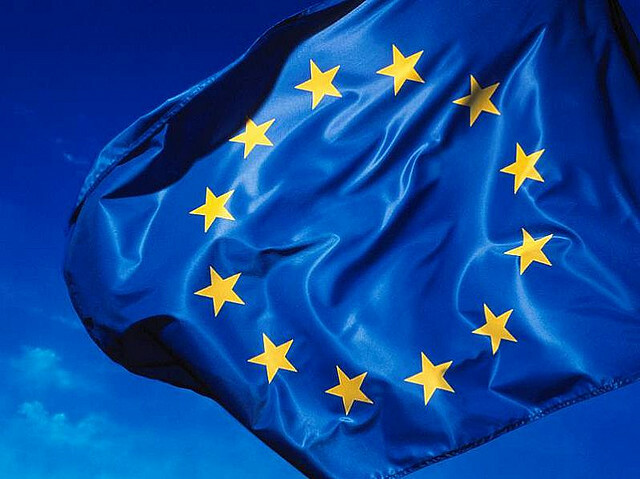 Up until 2007, the EU was an umbrella organisation divided into three pillars. It should be noted here that there is a distinction between European Community and the European Union. The European Community consists of the original Euroepan Communities set up in the 1950s and 1960s, whereas the European Union refers to the entire economic and social networks of countries, which includes all 28 member states. These were collectively known as the "four freedoms of movement". This pillar also covered a number of issues that need to be regulated and legislated for, such as agricultural and competition policies. The other two pillars are separate from this EC or European Community, but are part of the European Union. The second pillar included the Common Security and Foreign Policy. The third pillar covered Justice and Home Affairs. This pillar mainly dealt with police and judicial corporation in criminal matters and civil judicial cooperation. The three pillar structure was abandoned following the signing of the Treaty of Lisbon. The three pillar system is now one whole European Union, and the Charter of Fundamental Rights (which formed the basis for human rights law) is now incorporated in the EU treaties. There are various different institutions that make up the EU. They all have some input into the legislative or decision-making process. This is a forum made up of the President of the EU Commission and the heads of state of the European Union. It has no formal decision making power. However, it is key in defining the major policies and discussing general issues facing the EU, which could pave the way for its other institutions to make legislation. The European Commission has the exclusive right in most cases to propose EU legislation. It can also initiate proceedings against a Member State if it believes that a Member State has failed to comply with its EU obligations. This Is the upper tier of the EU legislation making process. It is the equivalent of the House of Lord's input into the law making process. Please note that this is not to be confused with the European Council, which is a separate entity. This is the second tier of the EU legislation making process. Members of European Parliament (MEPs) are elected by their member states. It shares legislative and budgetary power with the European Council. Although it has the legislative power that the European Commission and the Council of the European Union do not have, it cannot propose new laws. This right lies with the European Commission, as explained above. WHAT IS THE DIFFERENCE BETWEEN THE IMPACT OF EU LAW ON ENGLAND AND SCOTLAND? There is no real difference at the moment - the EU provides legislation for Scotland and England equally, treating us both as part of the UK as one member state. However, if Scotland did decide to become independent, it may have to reapply to join the EU. Becoming a member if the EU is not an overnight process, and there is a possibility that Scotland may have to adopt the Euro unless they have expressly negotiated an opt out clause from the currency, like the UK did as a whole and Denmark, following that country's refrendum in 2000. WHAT KIND OF LEGISLATION DOES THE EU MAKE? The laws governing the European Union and the laws which they can enforce are divided into two categories: primary legislation and secondary legislation. Its primary legislation comes from Treaties, which are debated and agreed by all EU member states. Once the Treaties are agreed, they must be ratified by the national parliament of each member state. the Treaty of Nice (2001), which entered into force on 1 February 2004. These are referred to in shorthand as “the EU treaties” or simply, “the treaties”. By giving the European Union certain powers in these Treaties, the UK has effectively given many of the EU institutions the power to legislate – in some cases, this legislation overrides UK legislation, as will be examined later. The treaties are continually reviewed and revised. It should be noted that these Treaties, which have been agreed by each member state, give the European Union its power, and it cannot act beyond the power denoted in these treaties. To do so would be an act beyond its power and unconstitutional – this is known as acting ultra vires. There are three main types of secondary legislation: regulations, decisions and directives. Regulations are binding on each member state, and each part of the legislation must be followed to the letter. A good example of this is the regulation that protects the names of products coming from certain agricultural areas. Because of this legislation coming into force, only certain pigs from the Parma region of Italy will be considered as the livestock that becomes Parma ham. Most recently, the town of Forfar in Angus, Scotland, applied under this legislation to give its savoury pastry, the Forfar bridie, similar protection in law. Directives are written targets or objectives that the EU wants all its member states to meet. However, they differ from regulations and decisions in that they member states can achieve these targets how they wish. In other words, the directives act as goals which they must fulfil, but the text of the directives does not dictate how they must be fulfilled. This is done via domestic law. A fairly recent example of this is the EU Working Time Directive, which was achieved in UK law through the Health and Safety Executive’s Working Time Regualtions. As you can see from this brief explanation, European Union legislation affects everything from our working hours to what the food we eat can be called. However, the EU has the power to effectively override UK law through the principle of direct effect. In the past, the doctrine of parliamentary sovereignty, as enshrined in constitutional convention, was paramount. This basically means that the parliament has ultimate legal authority and overrules any governmental subsidiary authority. This parliamentary sovereignty was altered when the UK became a member of the EU. Under the European Communities Act 1972, as an EU member state, the UK must construe and apply all future and already existing legislation in accordance with Community law. The superiority of EU law over national law was first examined properly in the cases of Van Gend en Loos and Costa v ENEL (1964). In Van Gend en Loos, a transportation company was charged an import fee by the Dutch government. The transportation company submitted that the charge was contrary to a part of EC law. On referral to the ECJ, the majority of judges believed that the part of EC law that the transportation company referred to could have direct effect on them as an individual. They chose not to interpret the law literally and instead considered the “spirit, the general scheme and the wording of the provisions”. Van Gend en Loos set the main test we have for EU law to have direct effect over UK law over fifty years later. A Treaty provision that an individual is relying upon can only have direct effect if that provision is “clear and unconditional, containing no reservation on the part of the Member States”. The issue was later explored in Costa v ENEL (1964). This case concerned a Mr Flaminio Costa, who was a shareholder of an electricity company. He had not paid his electricity bill as he was opposed to electricity being nationalised. Thus, he was sued for non-payment by ENEL, which was the state owned electricity company. The case was referred both to the Italian national court and the European Court of Justice. "The transfer by the States from their domestic legal system to the Community legal system of the rights and obligations arising under the Treaty carries with it a permanent limitation of their sovereign rights, against which a subsequent unilateral act incompatible with the concept of the Community cannot prevail." In other words, Costa v ENEL shows that direct effect was only possible if an individual challenging a piece of national law has the capacity to do so. This principle was explored in the Factortame case. Factortame, a Spanish company, argued that the law in place at the time, which meant that a ship had to have a majority of British owners, was a breach of European law. In a landmark decision, the House of Lords ruled that English law was incompatible with that of EU law. It was the first time that a national court had considered “disapplying” its own law. In other words, national law was overturned in favour of European law. There are two main areas of direct effect: vertical direct effect and horizontal direct effect. Vertical direct effect means that an individual can use a provision of EU law against their Member State. Horizontal direct effect gives individuals rights against people and organisations. These were first explored in Defrenne v SABENA. In this case, the applicant Defrenne, who was an employee of the airline SABENA, felt that women should be paid the same rate as men. The court ruled in her favour, and subsequently overruled the national law of Belgium with the treaty provision of ensuring equal pay for both male and female workers (then Article 119, now Article 141). The horizontal direct effect of law was considered in the case of Warave and Koch v Union Cycliste Internationale. This case concerned Dutch cyclists who wanted to race with non Dutch teams. This was prohibited under the main organisation regulating road cyclists racing in France, which stated that cyclists competing in a race and their motor cycle pacemakers must be of the same nationality. The cyclists argued that this was a contravention of Article 7 (free movement of workers), and the European Court of Justice agreed with their argument. Thus, this case established that an EU law can override a law over an organisation’s law as well as over member state law. The UK, as one of the member states which make up the European Union, effectively gives the EU its power as a signatory to the treaties. The EU treaties give constitutional boundaries to the law making that the EU can do, which is split into four main institutions. These are the European Council, the Council of the European Union, the European Parliament and the European Commission. The latter two institutions can be seen as the two main legislative bodies of the EU. Although the principle of direct effect is a very powerful one, the EU only use this to make their laws override member states in very exceptional circumstances. The onus is always on the individual wanting to enforce the principle of direct effect, and the treaty provision they are relying on must meet the standards prescribed in Van Gend en Loos. The EU has helped to improve working standards for women, as demonstrated in the employment law case mentioned in this guide. However, it can only be relied upon in exceptional circumstances in a court setting and should really only be turned to if you have exhausted your options in the national courts.